The HBCUpreneur Corner – Alabama State’s Deborah Scott Thomas and Data Solutions & Technology, Inc.
Business Name & Description: Data Solutions & Technology Incorporated (DST) provides a variety of services in Information Technology, Logistics and Operations, Management Support, Scientific and Technology Support, and Aviation Management. DST is ISO 9001:2008 certified and CMMI-SVC Maturity Level 3 appraised. What year did you found your company? 1994 – DST is approaching its 20th Year Anniversary! What was the most exciting and/or fearful moment during your HBCUpreneur career? The most exciting time was when I knew I had the confidence and expertise to start my own company. ASU provided me with the foundation that working hard with tenacity could lead to success. The most fearful moment was the beginning of my entrepreneurial career because my livelihood rested on my shoulders. What made you want to start your own company? I have always wanted to have a positive impact on the lives of others. 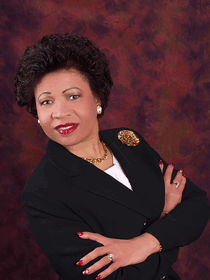 My assessment of the marketplace revealed the need and opportunities for additional African American women leadership. I was very business savvy with contract identification, proposal writing and networking and knew all elements were essential in starting a consulting firm. Who was the most influential person/people for you during your time in college? Professor Arthur Glass, my biology professor, was one of the most influential people during my studies at Alabama State University. Another influential person was General Daniel “Chappie” James. He taught me so much about the military and I give honor to him for his military knowledge and leadership that resulted in me having a phenomenal career in the Air Force. Also, my mother, Mrs. Mary Duncan – my rock, she was and is always there during the great times, and the stressful times with words of encouragement. How do you handle complex problems? It depends on how you identify “complex problem,” but I evaluate the current situation, I look at how we got there and determine the best method to resolve the problem. What is something you wish you had known prior to starting your company? Each day is never the same. Daily I speak with senior leaders to obtain updates on clients, staff, and stakeholders – all bringing excitement and challenges. What do you believe HBCUs can do to spur more innovation and entrepreneurship while their students are in school either as undergraduate or graduate students? To me nothing is more inspiring than to be with others who have fulfilled their dreams. If HBCUs establish practical work opportunities with corporations, I believe this would allow students to experience what is required to be a successful entrepreneur. The more students are placed in “real-world” environments; this can provide a foundation for their success. How do you deal with rejection? I don’t! I continue to pursue opportunities and search for other options with a positive outcome. When you have down time how you do like to spend it? Whew! That’s rare, but I like to go home to Alabama and spend time with family. What was your most memorable HBCU memory? My most memorable memory at Alabama State University was being a part of the Student Government Association. This early time in my college career provided me with the structure and dedication to put in hard work. I remember so vividly, ASU President Levi Watkins stopped by my desk one day and in that conversation, he informed me how he had been observing my work ethic over the previous weeks and was so impressed with how I handled myself in the office. You would never know how honored I felt for President Watkins to have that conversation with me. Remember you are your own brand! Stay focused, committed and be diligent in everything you do! Analysis: Alabama State University needs approximately $1.5 billion for all of its undergraduate students to attend school debt free annually. The school is in direct competition with the University of Alabama at Tuscaloosa. A major advantage point that Alabama State University has is its geographic location in the state’s capital of Montgomery. Being near the political center of a state allows for the engaging of the lawmakers who determine state allocation of funds to the public institutions of higher education. The city’s African American population is approximately 76 000 but with the state’s overall high graduation rate at 69 percent, below the national average of 75 percent, it is not hard to imagine that the African American high school graduation rate is even more abysmal. According to the recent Schott Report the African American male high school graduation rate in Alabama is 42 percent so finding the raw numbers to increase enrollment is going to be a challenge for a state school which tend to be more heavily dependent on in-state students. However, once again being in the state capital which tend to have a strong economic presence presents an opportunity for the school to create a web of opportunities. HBCUs in the deep south face a myriad of social hurdles but especially in a state like Alabama where the University of Alabama is as beloved by the African American community despite an almost negligible presence at the university itself beyond athletics and janitors. 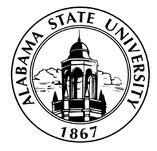 It is a social hurdle Alabama State University must shift in order to create the demographic increase needed to be competitive in the long-term that would generate the kinds of donations needed to build a sound endowment.